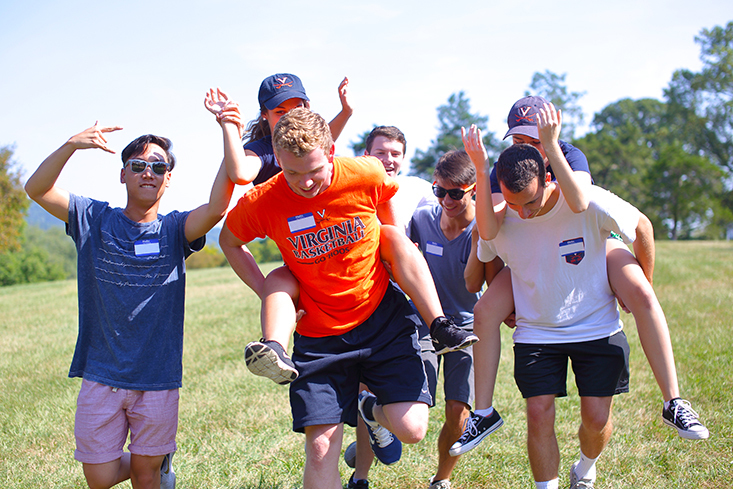 Residential Leadership Experience | Housing and Residence Life, U.Va. Students are immediately given opportunities to lead within their residential community during their first year on Grounds through the Residential Leadership Experience (RLE). Jointly operated by Housing & Residence Life and the UVA Alumni Association, RLE helps students develop a well-rounded set of practical leadership skills, provides opportunities to interact with faculty and staff across Grounds, and brings together motivated student leaders who are dedicated to serving the needs of their class. Students lead and grow while exploring core values of academic inquiry, diversity, community outreach, health and wellness, programming, and personal enrichment. An Association Council (AC) is a representative body made up of students from each set of associated on-Grounds residence halls. The Association Council is advised by the association's Senior Resident, a student member of the Resident Staff Program who lives in the residence hall alongside Resident Advisors. Students who join Association Council make the residence hall feel more like home. They organize fun and inclusive social programs and service opportunities, and develop a strong residential community. Association Councils also collaborate with each other to create programming for entire residential areas, as well as across first-year and upperclass communities. First-Year Council (FYC) is the representative body of undergraduate students in their first academic year at the University. It is comprised of RLE representatives from each set of associated residence halls and the Residential Colleges. As a "special status" organization, FYC acts as an agent of the University and has a direct reporting relationship to the Alumni Association and the Office of the Dean of Students. FYC is charged with bringing first years together in ways that build class identity. FYC fosters long-lasting affection directly for students’ class, the University, and by extension the Alumni Association. The First-Year Council has its own constitution, officers, members, and agenda that are separate from the University-wide Student Council. To join RLE, students run in the Residential Leadership Experience election in the fall. To be eligible for the election, students are required to attend an information session where they learn about election details and procedures. RLE is overseen by the Vice Chair for Council Leadership, an undergraduate student staff member of Housing & Residence Life. More information about RLE can be found on the RLE Facebook page. To learn more, join us at one of our upcoming RLE information sessions.